Hassan Khosrowshahi was born in Tehran, Iran in 1940. He was educated in Iran and England and obtained his degree in law and economics from the University of Tehran. He joined his family company, the Minoo Industrial Group, in 1961. Minoo Industrial Group was a major manufacturer and distributor of food products, pharmaceutical and cosmetics. Minoo Industrial Group produced products under its own brand names and under license for major international companies such as Beatrice Foods, Sandoz, United Biscuits, L’Oreal Group, Boots, and G.D. Searle, and was also the exclusive distributor for Nestle S.A. in Iran. 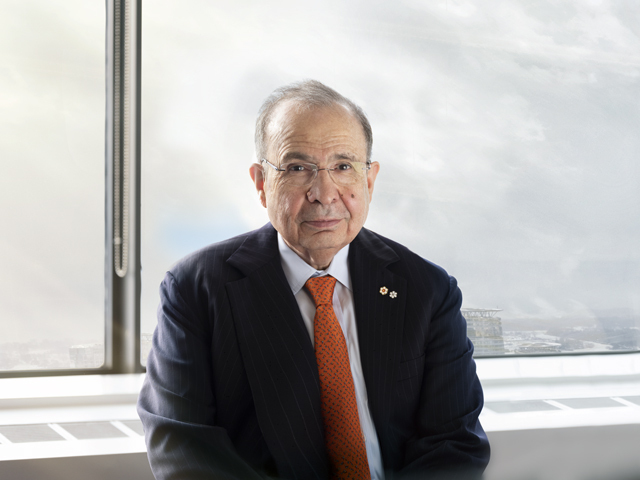 Hassan immigrated to Canada in 1981 and founded Inwest Investments Ltd. which is now part of the Persis Holdings Ltd. Hassan Khosrowshahi is the Chairman of Persis Group of Companies. Khosrowshahi is a member of the Order of British Columbia, as well as, Canada’s highest civilian honours, the Order of Canada. Hassan and his wife Nezhat have two children.